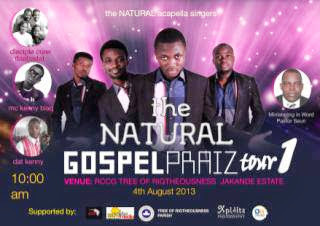 The biography of natural NATURAL IS A GROUP OF FOUR TALENTED GUYS WHO ARE IN LOVE WITH MUSIC. THEY DO ACAPELLA/VOCAL PLAY WHICH IS NOT THAT POPULAR IN THE COUNTRY WHERE THEY ARE FROM. THEY ARE NIGERIANS AND LIVE IN NIGERIA. THEY HAVE BEEN TOGETHER SEEN NOVEMBER 2009 AND WITH THE HELP OF GOD HAVE BEEN ABLE TO TAKE THIS KIND OF MUSIC TO PLACES THEY NEVER BELIEVE THEY COULD. THE GROUP IS MADE UP OF WOLE ISAIAH (1ST TENOR) CELESTINE ERUOJO NZEKWE (2ND TENOR) IMOH JOHN (ALTO) AND KELECHI NWANGBARA (BASS). THEY ARE ALSO KNOWN AS MAYOR BLAZE, SAINTCEN, IMOHRAINZ AND MC WOWO RESPECTIVELY. 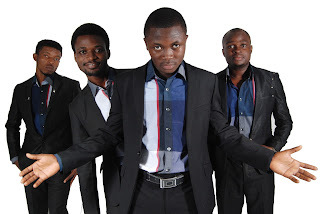 THE GROUP NATURAL IS A FAST GROWING ACAPELLA GROUP IN NIGERIA AND IN SHORT TIME PERFORMED ACROSS THE NATION AND IN GREAT ORGANISATION LIKE THE C.S.R AWARDS IN 2011 & 2012, THE SICKLE CELL FOUNDATION (WEST AFRICA) 2012, BEREACAH (2011) AND ALSO AT THE FIRST EDITION OF THE LAGOS SHIFT IN 2012 WHERE THEY BECAME THE FIRST RUNNER UP (2ND POSITION) WITH AN AWARD IN THE MUSIC CATEGORY, ALSO THE BRAND AMBASSADOR FOR SHIFT 2012. 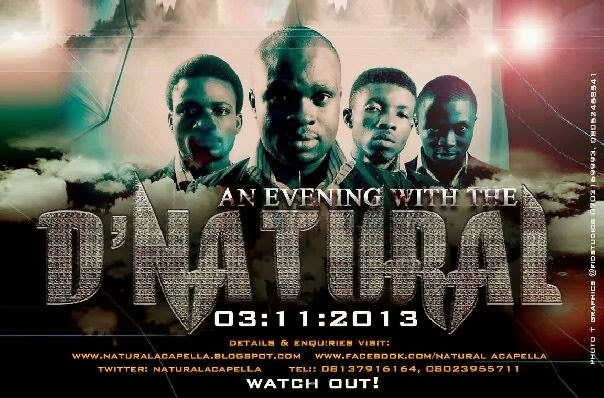 An Evening with D' NATURAL... WATCHOUT. 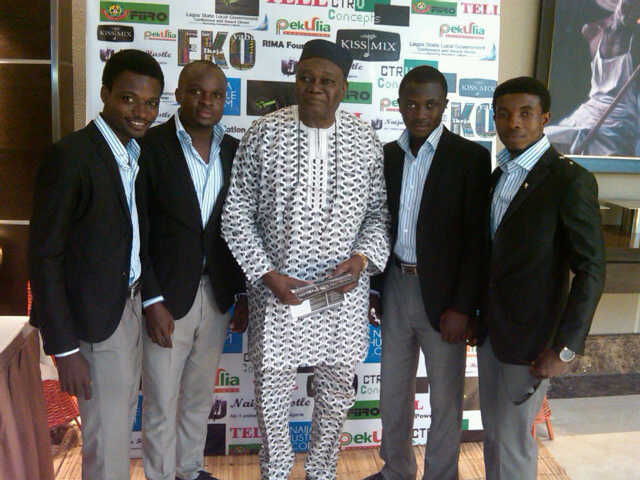 Laugh and Relax with MC WOWO and Friends. D' NATURAL LIVE @PLAYS BY BUNMI DAVIES. WE WILL BE PERFORMING LIVE AT THE MAIDEN EDITION OF PLAYS BY BUNMI DAVIES . 4 YEARS, 4 GUYS, 4 MICS, ONE STAGE .... AN EVENING WITH D' NATURAL .